To be productive and successful within a team, make sure you know what’s important to you – know your values, know what drives you. In this post, I’ll zoom in on the inner circle. In the center of the model for individual success in teams is you. With the help of some practical tips and exercises, you can become “The I in Win”. Let’s start with Values. Understanding your values can be very useful in making important decisions in your life. Your values are like an inner GPS-navigation system, that guides you towards the right way. You can choose not to listen – but you will probably not get to where you want to go. Some of my core values are being creative and making things better. These are the values that helped me in writing my book on Super7 Operations. Change is needed on how individuals and organizations see and reward success. You as an individuals need to know what defines success for you. You can do this on your own, or with the help of specialized coaching. And organizations need to recognize unique talents within teams, and reward them proportionally. This entry was posted in Teamwork & cooperative models and tagged agile, Lean, learning organisation, scrum, squads, Super7, Super7 Operations, Teams, Teamwork, tribes on February 1, 2017 by M.R. van Dijk. 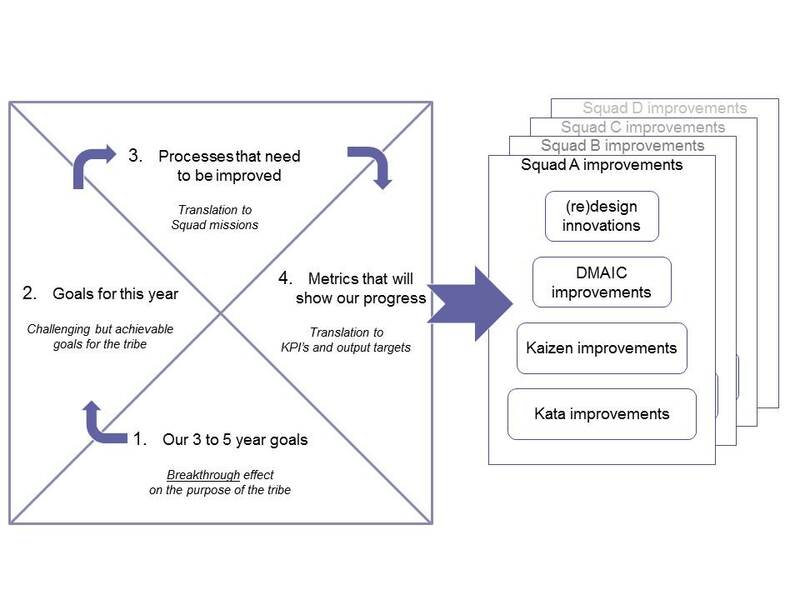 Hoshin Kanri for Agile – Toyota’s lean policy deployment translated to Agile – is also an excellent tool to align Squad backlog with their Tribe’s purpose in an Agile organization. In my previous post on Hoshin Kanri for Agile, I introduced an innovative way to apply Hoshin Kanri to align the mission of squads with the purpose of their tribe. But the effect carries on even further: the entire backlog of the squads will remain in line with the mission and purpose. Again, this requires a slightly different use of the principles of Hoshin Kanri. Agile squads work in sprints. At the end of each sprint, they deliver fully functional solutions for their customers. These solutions should be in line with their mission. And this mission should be in line with their tribe’s purpose. Innovative companies like Spotify use this Agile way of working to continuously deliver improved user experiences. Their product range is relatively simple, and their services are fully digital. But how will this work when traditional companies, banks for instance, transform into digital agile companies? Hoshin Kanri is the right tool for the job. Formulate break-through goals for 3 to 5 years ahead. These are the goals that will make a real impact on the purpose of the tribe. Translate these break-through goals into one-year goals. This is the annual plan for the tribe, with challenging but achievable goals. Translate these goals to Squad Missions. These missions describe the processes that need to be improved. Determine which metrics will show the progress of the improvement. Finally, the backlog is filled from each of these improvements. As each of the improvements are focused on the same strategic priorities, the backlog will be completely in line with mission and purpose. 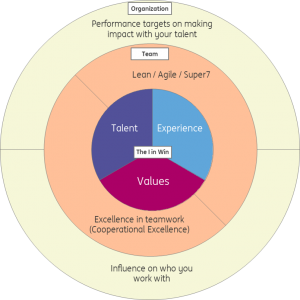 This entry was posted in Lean, Teamwork & cooperative models and tagged agile, Lean, operational excellence, scrum, squads, Teamwork, tribes on April 30, 2015 by M.R. van Dijk. Hoshin Kanri – Toyota’s Lean take on policy deployment – is an excellent tool to align Squad missions and Tribe purpose in an Agile organization. When traditional organizations in Financial Services transform into Agile organizations, new challenges will arise. One of these challenges could well be: how to keep the improvement efforts of all the autonomous Squads aligned with the Tribe’s purpose? Hoshin Kanri Policy Deployment starts with formulating break-through goals for 3 to 5 years ahead. These are the goals that will make a real impact on the purpose of the tribe. Second step is to translate these break-through goals into one-year goals. This is the annual plan for the tribe, with challenging but achievable goals. Third step is to translate these goals to Squad Missions. These missions describe the processes that need to be improved. 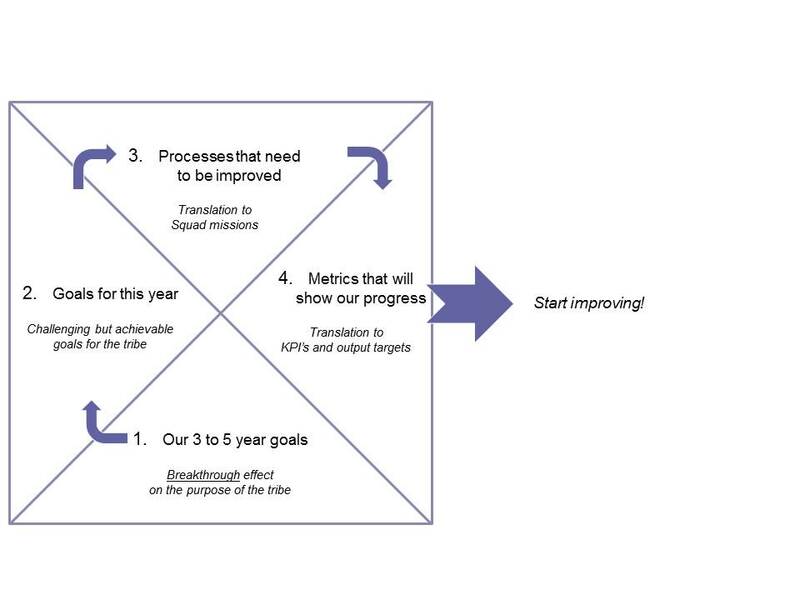 Final step is to determine which metrics will show the progress of the improvement. Translating the squad’s improvement goals into KPI’s and targets makes it possible to steer on output and still make sure things are moving in the right direction. The picture below illustrates this. The outcome of the Hoshin Kanri Policy Deploycement gets a prominent place on the “Plan” wall in the Obeya Room of the tribe, and the improvement can start within the squads. Squads can be autonomous, because alignment is ensured through the Hoshin Kanri. Each squad will get to work improving what needs to be improved. They can use their Improvement Kata for small, incremental improvements. Larger improvements require a Kaizen approach. 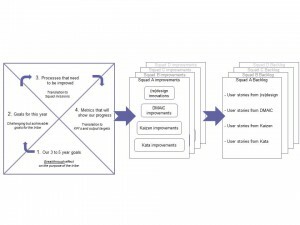 For problems where the solution isn’t clear, DMAIC projects can be started. And the biggest changes require redesign or innovation. But whatever the approach is, the overall progress can be monitored in the KPI’s. This is show in the second picture. All these elements together ensure that the squads start improving in the right direction. Of course, it wouldn’t be Agile if there wouldn’t be room to make changes along the way. But this shouldn’t be needed too often. All in all, I’m very excited about using Hoshin Kanri Policy Deployment to align autonomous agile squads with their tribe’s purpose. This entry was posted in Lean, Teamwork & cooperative models and tagged agile, continuous improvement, Kata, squads, Teamwork, tribes on April 22, 2015 by M.R. van Dijk. Recently, I attended a presentation on how Gamification can help Super7 teams to become successful. A talented graduate student had designed a method where super7 teams manage not their actual performance, but instead manage a virtual company. First, a Super7 team got to choose their virtual business. For instance, a team would choose to become a virtual coffee bar or tea parlor. Their operational results as a Super7 were translated into virtual sales figures and profits. When quality or timeliness would fall behind slightly, this would show up in customers staying away from their virtual company. Excellent service in their real work would boost their virtual popularity and sales. And, the amount of capacity needed to process their real work would determine the costs side of their business. I can only imagine the fun the teams must have had with this approach. And, the results where great, from what I heard. I hope to share more about the exciting possibilities of applying gamification for Super7’s in the near future. And, could this be a whole new way of engaging scrum teams or agile squads as well? This entry was posted in Teamwork & cooperative models and tagged squads, Super7, Super7 Operations, Teams, Teamwork on April 17, 2015 by M.R. van Dijk. When traditional organizations transform into Agile, they can benefit from their LeanSixSigma experience. Lean Six Sigma has been applied in banking for more than a decade. 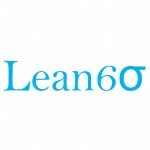 Many banks have their own pool of Lean Experts or LeanSixSigma Blackbelts. As Agile is based on similar principles as Lean and the Toyota Production System, this experience may be very valuable in this transition. Put focus on the Voice of the Customer. Challenge the Squads to determine and measure the customer impact of their work. The transformation of classical Back-Offices to Lean Super7 Operations has been an exciting journey so far. The transformation from a top-down functional organization to an Agile organization promises to be even more so. This entry was posted in Kata Coaching, Lean, Service Excellence, Teamwork & cooperative models and tagged agile, Improvement kata, Kata, Lean, squads, Super7 Operations, Teams, Teamwork, tribes on April 2, 2015 by M.R. van Dijk. How to create the right culture for Super7 teams? Creativity and autonomy florishes within a culture of trust, support, stretch and discipline. Traditional companies often rely on constraints, compliance, control and binding through contracts. This is explained excellenty by Prof. Sumantra Ghosha. Recently, I was given a tip to watch a short clip form Prof. Sumantra Ghoshal, called “the smell of the place”. To my opinion, this clip is very relevant for autonomous teams, scrum, agile and Super7 Opertions. Below, you’ll find his brilliant speech from the World Economic Forum about corporate environments and the faults of management in creating a positive work place. Contracts in stead of trust. Important lesson from this video is that the smell can be changed. You can convert the smell of the place from “downtown Calcutta in the summer” to “a forest in spring”. It has been done before. And, you can use the smell metaphor in explaining and visualizing this change. One department I recently visited had a brown paper on their Scrum-wall, on which all teammembers rate the smell they are smelling on a scale from 1 (Calcutta) to 10 (Forest). This way, they can monitor the culture, and address issues that cause ‘bad smells’. This entry was posted in Teamwork & cooperative models and tagged scrum, squads, Teams, Teamwork, tribes on February 26, 2015 by M.R. van Dijk. To make Agile Squads work, you can make specialists multi-skilled to enable the Squad to prioritize across all disciplines within their squad – an important lesson from our Super7 experience. A Squad is a small, multi-disciplinary team, much like a Super7 team, but more focused on developing and managing a product or product feature rather than processing customer requests. A Tribe is more-or-less what we used to call a department, but again, focused on a related group of products or services. A chapter is the ‘matrix-layer’, a group of similar specialism from different tribes. As Spotify explains in their second video, strong growth has made the Squad & Tribe organization more complex. So how do you get this type of organization to work? My observation is that the matrix of Chapters running crisscross through Tribes creates 2 potential problems. 1. Less autonomous problem solving power for the Squads because different specialists can’t help each other. – When one specialist’s highest priority is really critical, the risk is that his/her squad members can’t help this specialist, simply because they don’t know enough of the subject. – In the situation as described above, the specialist in need of help will turn to his/her chapter-members. – And this will require a lot of talk, compromising, decision making. – In short, this will increase the need of management. Use multi-skilled specialists, and enable the Squad to prioritize across all disciplines within their squad. A graduation study has shown that Super7’s that can rely on help from within their own Super7 are more effective and have better team-spirit than teams that need to lend a hand to other Super7’s on a regular basis. This emphasizes the importance of multi-skilled specialists. How would this work for Squads? Super7 shows us that specialists need to be able to help at least 2 other members of their Super7. Translated to Squads: every squad-member needs to be a specialist in at least 2, but preferably 3 specialisms that are needed within the squad. This will demand a lot of the people involved. They need to be trained. But as Toyota puts it: “we build people before we build cars”. This entry was posted in Teamwork & cooperative models and tagged agile, squads, Super7 Operations, Teams, Teamwork, tribes on February 5, 2015 by M.R. van Dijk.